Product #18388 | SKU 65-070179 | 0.0 (no ratings yet) Thanks for your rating! 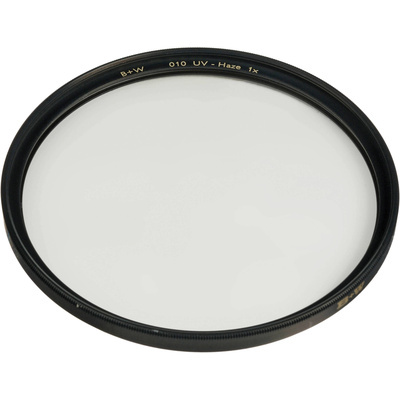 The B+W 95mm UV Haze SC 010 Filter is a general use, clear filter designed to absorb ultraviolet light and reduce the bluish cast of daylight. Aside from the reduction of unwanted blue casts, no additional colouration or contrast is created, and adjustments to exposure are not required while using this filter. To prevent internal ghosting and reflections while providing over 98% light transmission, each glass surface includes one layer of anti-reflection coating. B+W filters are constructed from Schott glass for increased optical clarity and colour fidelity. This filter features an F-Pro brass filter ring for durability as well as jamming prevention.